There's no denying the influence and success KISS have had in the past 39 years on everything from stage shows to merchandise but one era of the band that is usually glossed over is their non makeup period in the 1980s where they had some of their best and most melodic hits. 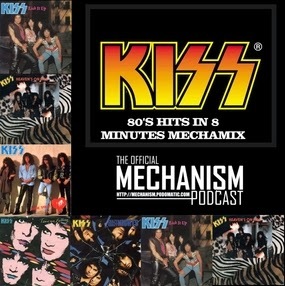 This very special Mechamix features just a handful of classic KISS hits from the 80's in just 8 minutes! So be prepared to get crazy crazy rock fans cos this is KISS!